Before you read any further, consider signing up for Dr. Vreeland’s FREE webinar scheduled for March 24th, 2015 at 7:30PM. It’s called ‘Stop Your Migraines Naturally!’ Learn all the keys to reducing your migraines naturally and effectively. 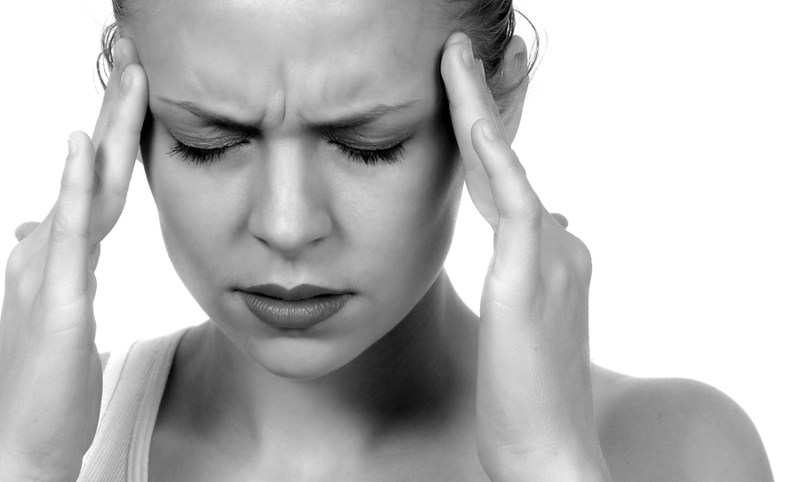 Migraine headaches can be debilitating. People who get them know this. Many of those who suffer also know treatment to prevent migraines can be ineffective. According to the statistics, more than 1 in 5 adults over the age of 18 will report having migraines (1). With that many people experiencing migraine headaches, it’s shocking to know that less than half of those with migraines are being treated effectively (2). Clearly, an alternative approach is necessary. Intense pulsing or throbbing pain in one area of the head. Hypersensitivity to light, sound, and smell. A variety of autonomic, cognitive, emotional, and motor disturbances including sweating or cold hands, paresthesia, temporary paralysis (hemiparesis), dizziness, vomiting, aphasia, or confusion. Headaches may last as long as 3 or more days, and many sufferers experience chronic migraines in which one migraine is followed by another, then another. This leads to an almost unending cycle of pain. However, there is hope. And it’s not in the form of toxic medications that may you feel sleepy, foggy, dull, or not like yourself. They are natural and they work. Here are the 5 things you should be taking to reduce your migraines. Butterbur (Petastis hybridus) is a perennial shrub that has lilac-pink flowers and can grow up to three feet high. It is found throughout Europe, as well as in parts of Asia and North America. Butterbur has been used for hundreds of years to treat aches and pains, including headache. Butterbur appears to act by influencing the inflammation associated with migraine. In another study group daily consumption of Petasites extract at a dose of 75mg, twice per day was demonstrated to decrease the frequency of migraine attacks by 48%, compared to the placebo group (p = 0.00102) (4). In a separate study migraine frequency improved in greater than or equal to 50% of the Butterbur group, while improvement in the placebo group was only 15% (5). It is very important to note Butterbur from differing manufacturers varies in the quantity of the targeted active phytochemical group called petasins. A high quality Butterbur will possess distinguishable quantities of the six different petasins, including 3-desoxy-neopetasol, isoperasin, neo-petasin, petasin, neo-S-petasin and S-petasin. (Tanacetum parthenium) Feverfew is a daisy-like perennial, herbaceous herb. The name feverfew is derived from the Latin word febrifugia, meaning “fever reducer,” and was traditionally used as an antipyretic. Its use is long and storied with the 17th Century English herbalist Culpeper writing of the effectiveness of this herb for headache and uterine disorders (6). Feverfew, in doses of 50-100mg daily, has been shown to be effective for migraine prevention, reduction of nausea, vomiting and sensitivity to light and sound (7-9). Referred to as vitamin B2, or vitamin G, is a water-soluble B-vitamin. It is heavily involved in the energy production pathways in the brain. This is, perhaps, the mechanism by which taking high dose riboflavin works to reduce migraine headaches. By increasing the brain’s efficiency with respect to energy, it is better able to reduce or prevent neurons (cells in the brain) from becoming over excited. Migraines are thought to be caused by a hyper-excitable brain. Reducing this hyper-excitability is key for some in reducing migraine frequency and severity. Prophylactic treatment with riboflavin (400mg/day) was demonstrated to both reduce migraine attack frequency and to attenuate the use of abortive anti-migraine therapy (10). Similar to the above mechanisms with respect to energy management in the brain, taking CoQ10 may assist in managing brain hyper-excitabilty. As a component of the electron transport chain, CoQ10 participates in aerobic cellular respiration, generating energy as ATP, and thus functions as a necessary component in cellular energy production. Ninety-five percent of the body’s energy is produced in this manner. In addition to CoQ10’s assistance in cellular energy production, it also functions as an antioxidant. CoQ10 has been proposed as a prophylactic for migraines, especially in children and women of childbearing age (11). In an open label investigation (non-blinded) one study demonstrated that CoQ10 at a dose of 150mg/day was effective as a migraine preventive (12). Say what? Exactly. All you need to know here is these compounds are antioxidants that prevent damage to many tissues in your body. We get them from many places including fruits, vegetables, spices, and others. Migraines as well as headache duration has been correlated to oxidative/antioxidative parameters, thus antioxidants are thought to be beneficial in migraines. Accordingly, “the hypothesis of oxidative stress in migraine is supported by various studies.”(13-16). Nutritional compounds, specifically antioxidant compounds like polyphenolic-like compounds, may assist in mitigating the effects that this stress may play in migraine pathology. So, now what? Where do you get these wonderfully natural compounds to prevent your headaches? Dr. Vreeland has designed a comprehensive migraine support formula called MygranX. While the above ingredients may all be widely available, no one has combined them into one effective product until now. In conjunction with Biotics Research Corporation, Dr. Vreeland has designed and tested MygranX. It is exceptionally effective. 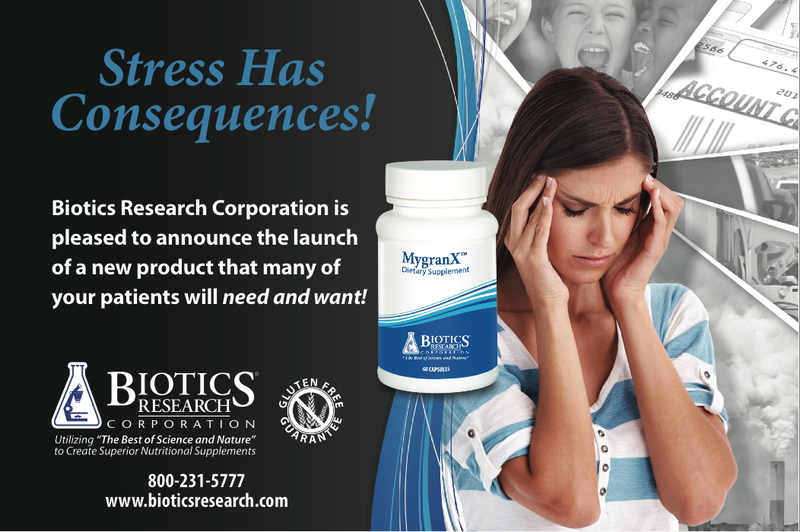 Biotics Research has found the most potent and effective raw ingredients possible when making MygranX. Some patients report up to a 90% reduction in their migraines! Almost all patients who take MygranX have achieved some form of relief. It is very easy to take. Just 1 capsule in the morning and evening is effective for most. MygranX is available only through healthcare professionals. You will need to contact your functional medicine specialist to gain access to MygranX. You may also contact Dr. Vreeland at the Vreeland Clinic. N Engl J Med 2002, 346:257-270. Neurology. December 28, 2004 63(12): 2240-2244. European Journal of Neurology. 2004 11:475–477.